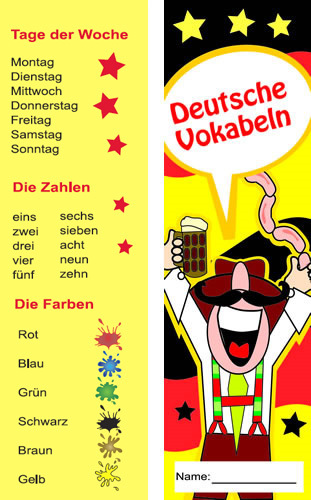 Never lose your place again with these super German bookmarks! 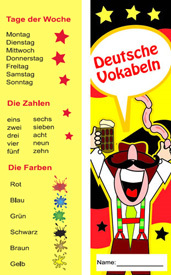 Double sided and printed onto strong card, each bookmark help pupils to learn new German vocabulary on topics including days of the week, numbers and colours. These are lovely German rewards for hard workers as well as being good revision aids!